Posted December 6, 2018 by Reed & Associates & filed under Articles. If you’ve been following along for any amount of time now, you know we never pass up an opportunity to indulge our sweet tooths. Birthdays, holidays, national days, you name it. 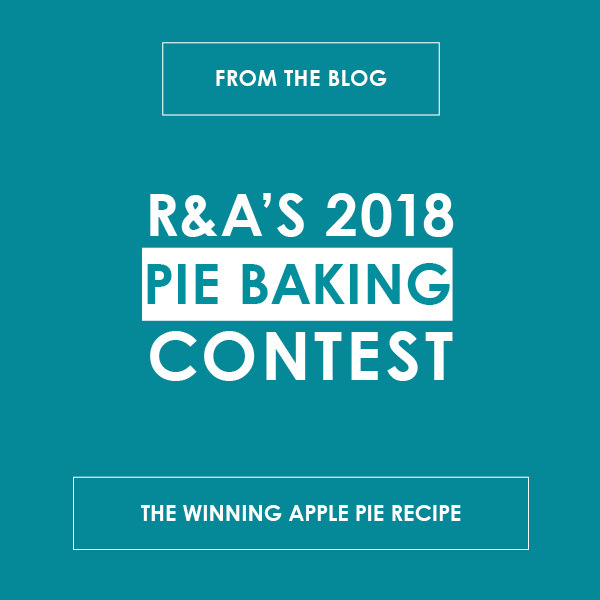 So naturally, a holiday tradition our taste buds look forward to each year is the R&A Pie Baking Contest. 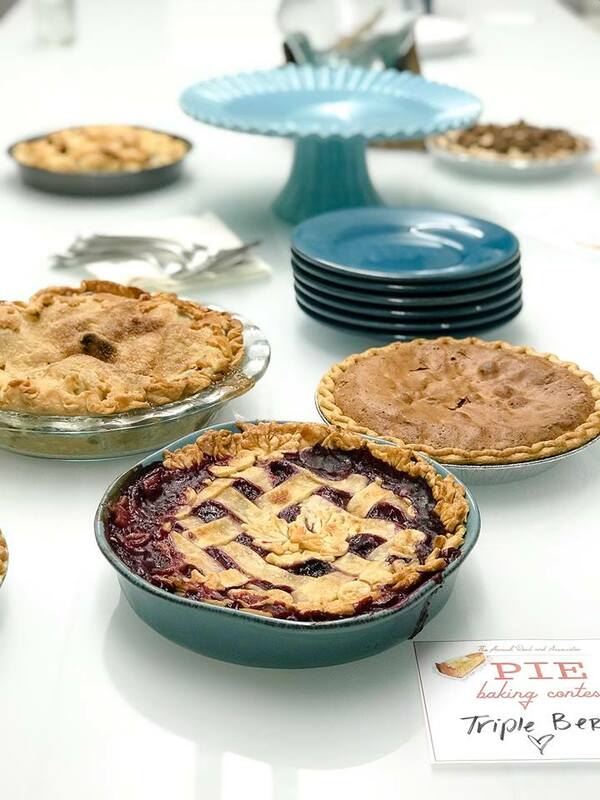 This year, there were so many good ones to choose from – including other category winners like Triple Berry, Chocolate Peanut Butter, Bourbon Pecan Pie, Chocolate Chip Pie, and multiple Apple Pies. 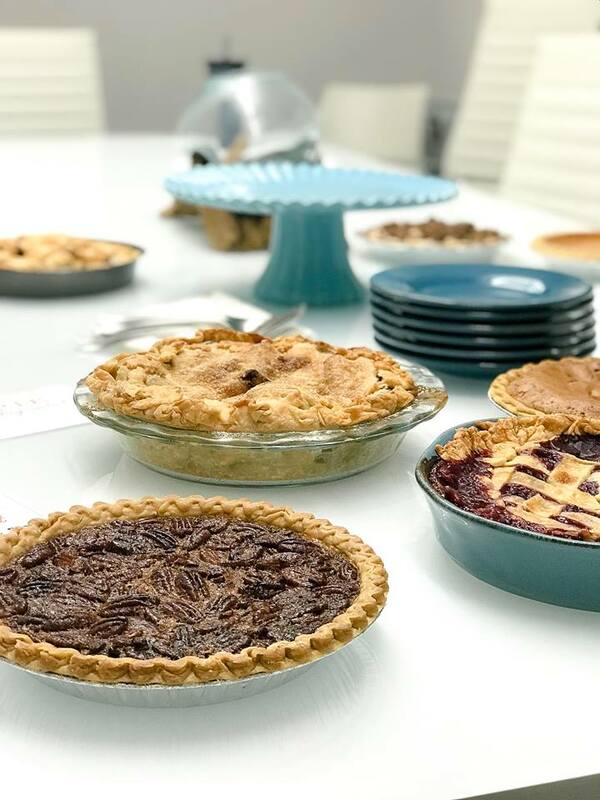 But ultimately, the stand-out winner for both Best Crust and Best Overall was made by R&A Account Executive Monica Wilsey, using a modified version of her Grandmother’s recipe. In the spirit of the holidays, we couldn’t resist sharing it with you here! Save, print, or Pin the recipe graphic below and use it to impress your family, friends, or coworkers at your next bake-off or gathering. Coming from all of us, it’s worth the extra effort of being homemade.